JSP Security – As of now Splessons covered everything related to JSP technology such as form creation, database access, filters, debugging and also developing small applications like forms, but every web application developed by JSP, Servlet needs the security, without security it will not be worth.Following are the Several levels of authentications. 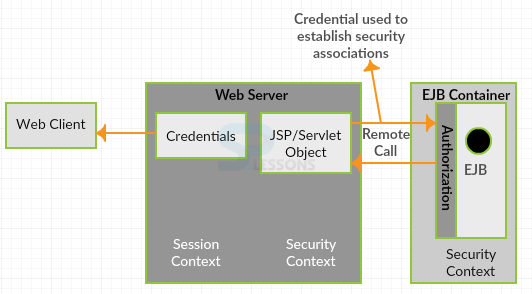 Following is the conceptual figure for JSP Security. While log in to the any web page credentials are used for the security purpose. The affirmation component in the servlet determination utilizes the strategy called role based security. This thought is that instead of constraining assets at the client level, we make parts and confine the assets by role. One can keep different roles in file tomcat-users.xml as follows. The above file determines mapping between different fields such as user name, password and role where user may have multiple roles. By using in web.xml role based security limitations will be placed in different web applications.Following is the sample web.xml file. While using form authentication method developer supposed to create fields to enter the credentials. Following is the sample code of JSP form. Here server maintains the sessions to recognize the authorized persons, cookies and session will play major role in the security mechanism. Following are the programmatic security methods in JSP and Servlet. String getAuthType():To represent the identity of the authentication to protect servlet. boolean isUserInRole(java.lang.String role):To return boolean values. boolean isSecure():Returns a boolean value representing if the request was created using HTTPS. Principle getUserPrinciple():results a java.security.Principle object that contains the name of the current authenticated user. 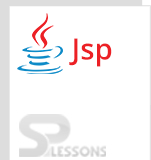 JSP Security – JAVA security technology will have set of API’S, algorithms, tools. JSP Security – RBAC stands for Role based access control.